Your child will be allocated a key person when they begin their time with us at First Steps. We want to learn as much as we can about your child so they get the individual care and attention they deserve. The key person will build a relationship with you and your child, they will meet your child’s individual needs, respond sensitively to your child’s feelings and acts as a point of contact for you. Your key person will then feedback information to you on your child’s day and progression throughout their time in the nursery. The key person will be responsible for ‘settling in’ your child and will gain knowledge of your child’s care plan. The ‘settling in’ period is as long as your child needs, there is an open door policy. Our settling in procedure is individualised and your key person will be available to discuss this with you. Please call First Steps Nursery for more information about our settling in procedures.r settling in procedure is individualised and your key person will be available to discuss this with you. At First Steps emphasis is on learning through stimulating play. We encourage each child to learn and develop their own personality and confidence at their own pace, allowing each child to be creative and imaginative. 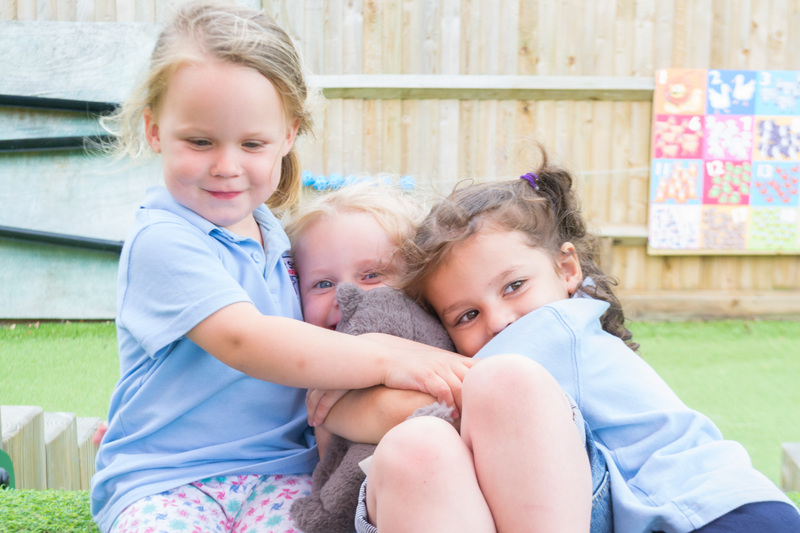 We provide your child with the opportunities to encourage and develop their social skills, self-confidence and independence by the planning of activities for each child’s individual learning and development through the EYFS which includes maths and literacy. Every child deserves the best possible start in life and the support that enables them to fulfil their potential. Children develop quickly in the early years and a child’s experiences between birth and age five have a major impact on their future life chances. A secure, safe and happy childhood is important in its own right. Good parenting and high quality early learning together provide the foundation children need to make the most of their abilities and talents as they grow up. The EYFS sets the standards to ensure that children learn and develop well and are kept healthy and safe. It promotes teaching and learning to ensure children’s ‘school readiness’ and gives children the broad range of knowledge and skills that provide the right foundation for good future progress through school and life. Activities in each room are planned for each child’s individual learning and development based on the EYFS and all planning is structured around this. We use the framework to plan activities for each child’s individual learning and development, using the children’s interests to keep learning fun. In each room children can enjoy the learning areas which include construction, mark making, role play, book corner, ICT, messy play, maths and much more. Why not call in to First Steps and see for yourself the variety of different learning areas available? If you introduce a new child from a new family you will receive a £50 voucher as a thank you!